The Peoples Democratic Party, PDP, Thursday failed in another desperate bid to get the courts to sanction its expulsion of Senator Buruji Kashamu and his associates from the party. Justice Valentine Ashi of the High Court of the Federal Capital Territory in Apo, affirmed its earlier decision nullifying the expulsion of the senator and associates. Although Justice Ashi in his ruling expressly acknowledged that the PDP or any political party could discipline its members through suspension and expulsion, he however said the purported suspension of the governorship candidate of the party recognized by INEC and his associates, who control a faction of the party in the state, did not follow due process. The PDP had earlier hurriedly released a misleading statement hailing the judge for affirming the party’s authority to wield the big stick against members, claiming that its expulsion of the politician and his associates has been affirmed by the court – which of course is untrue. The judge had earlier in a ruling delivered on October 10, 2018, nullified the expulsion of the senator representing Ogun East Senatorial District and others, saying it was unlawful and amounted to a nullity as it was done in flagrant disobedience of a subsisting order of the court made on December 7, 2017. He held that the court’s order violated by the party was restated on January 9, 2018, directing parties not to do anything to jeopardise the hearing of the pending substantive suit. The court had specifically warned the party against carrying out any disciplinary action against the politicians without first, having recourse to the court. The PDP had returned to the court by filing a suit marked, FCT/HC/CV/0303/2017, and in which the party prayed the court to, among others, hold that it has the power to discipline its erring members. However, delivering judgment in the suit on Thursday, Justice Ashi agreed with the PDP that it had the power to reprimand or take disciplinary measures, including to bar or expel erring members, but added that the power must be exercised according to due process. It also held that the affirmation of the party ’s power to discipline its members did not imply that its earlier ruling setting aside the suspension of Kashamu has been reversed. The National headquarters of the PDP has so far been unsuccessful in its bid to remove Kashumu and replace him with Hon. Ladi Adebutu as its governorship candidate in Ogun State. 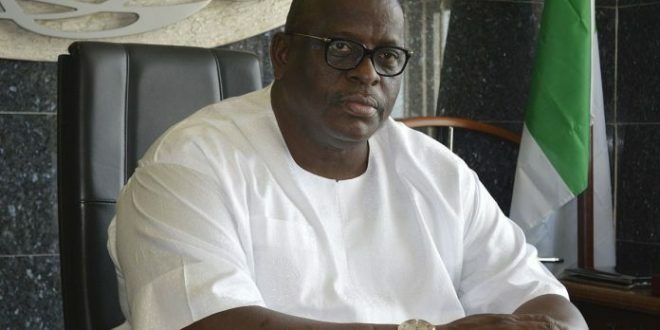 Senator Kashamu has since nominated Dr. Rueben Abati, a former presidential spokesman, news media columnist and television anchor as his running mate.